** WARNING ** If you are on a diet, are thinking about going on a diet, or care at all about your physical appearance READ NO FURTHER. I always love a pasta dish with peas, pancetta, and a light (or heavy) cream sauce. So I thought: What could be better than putting the peas INSIDE of the pasta?? 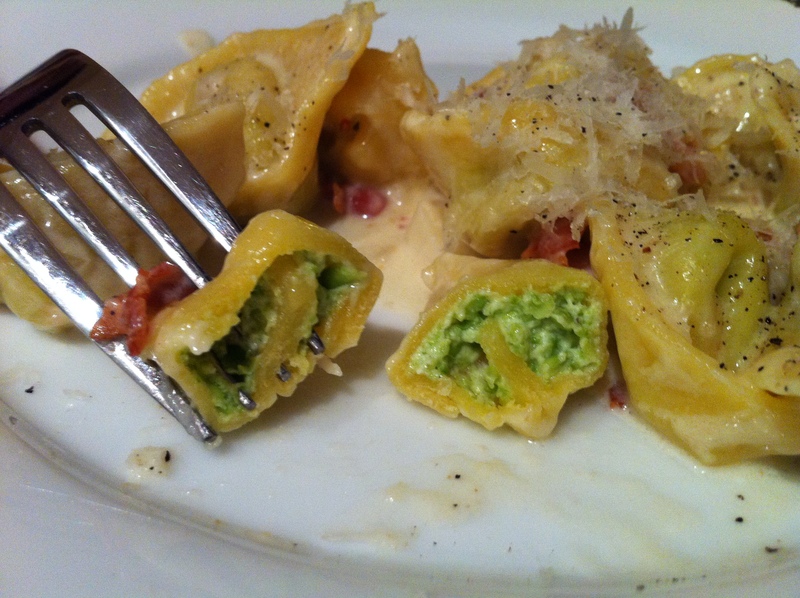 I also have recently developed an obsession with making fresh pasta, so I embarked on a pea-filled pasta quest. Cook the peas according to the package, drain well. 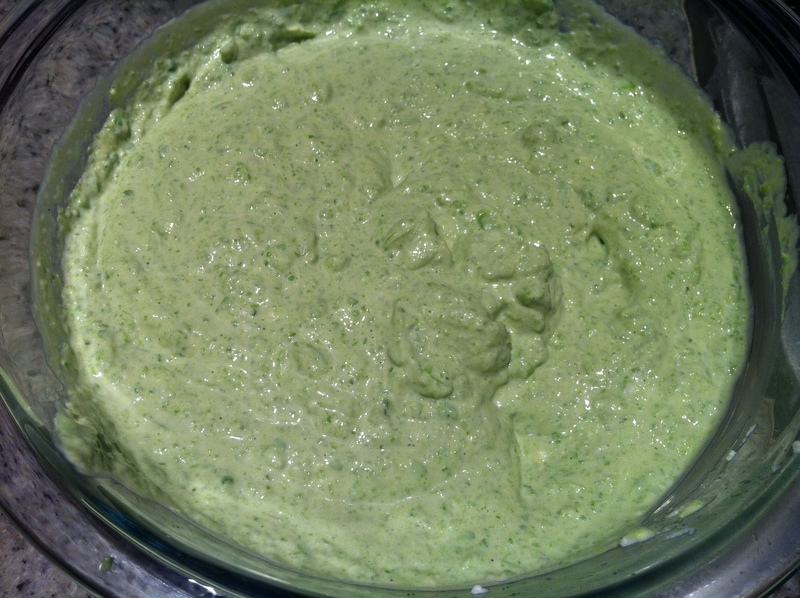 Then, puree all ingredients in a food processor or with an immersion blender. Check seasonings, and you’re done! I’m still trying to figure out what to do with all of my leftover filling… suggestions appreciated! 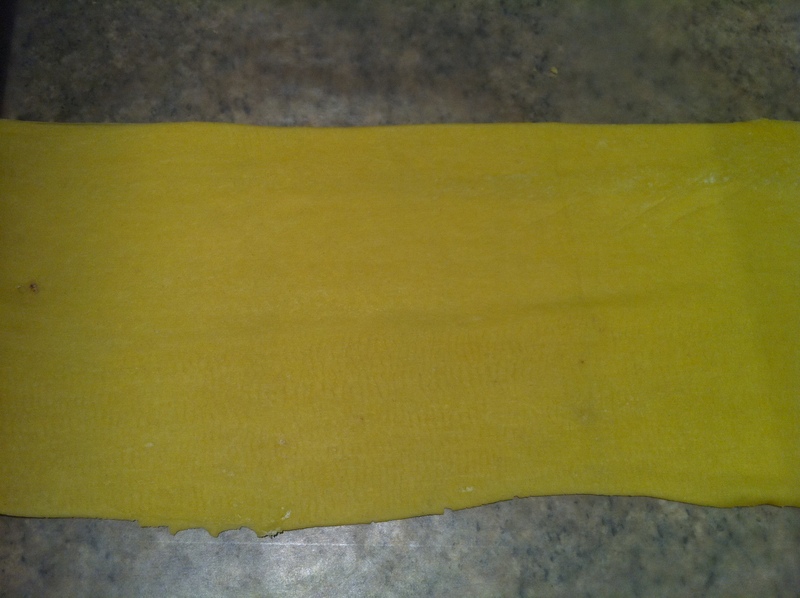 Next for the pasta – I use Emeril’s basic egg pasta dough recipe. Put the salt and flour in the bowl of a food processor, combine well. 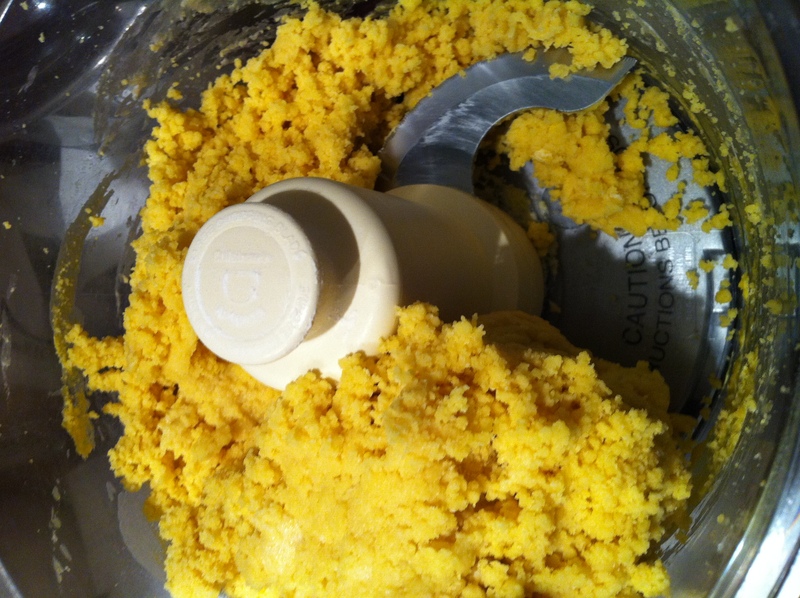 Then add the eggs, egg yolks, and olive oil down the feed tube. I always end up adding about 1/4-1/2 cup of water to make the dough come together, you don’t want it to be too moist though. This recipe makes slightly less than 2 lbs of pasta dough, I put half in the freezer. Make sure you have a very well-floured work surface for your dough. Knead it just a bit until it is smooth and workable (not sticky). Then run it through a pasta maker, here is the one I have. You don’t want the pasta to be extremely thin, so don’t run it through the smallest setting of the pasta maker. If you don’t have a pasta maker you can use a rolling pin. 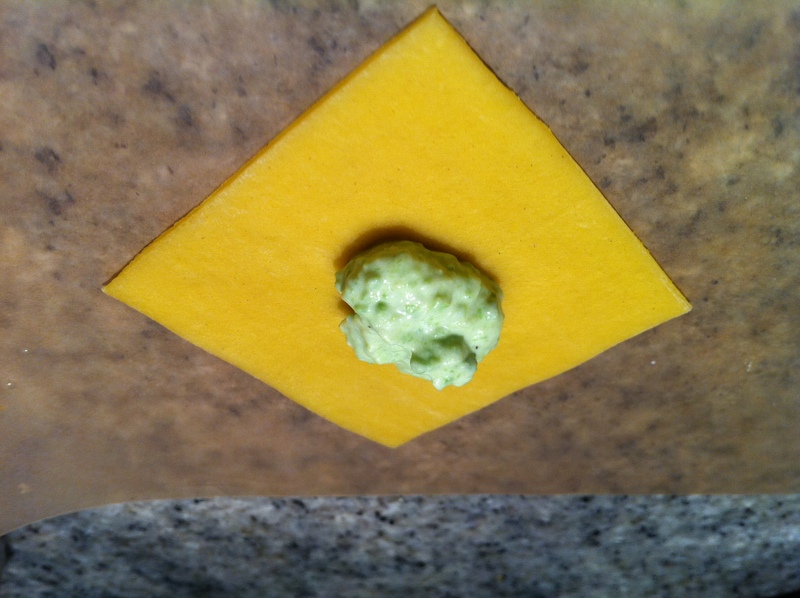 Cut the dough into approximately 2-2 1/2 inch squares, depending on how big you want your tortellini to be. Place a small amount of filling in the center and lightly moisten the edges of the dough by dipping your finger in a small bowl of water. 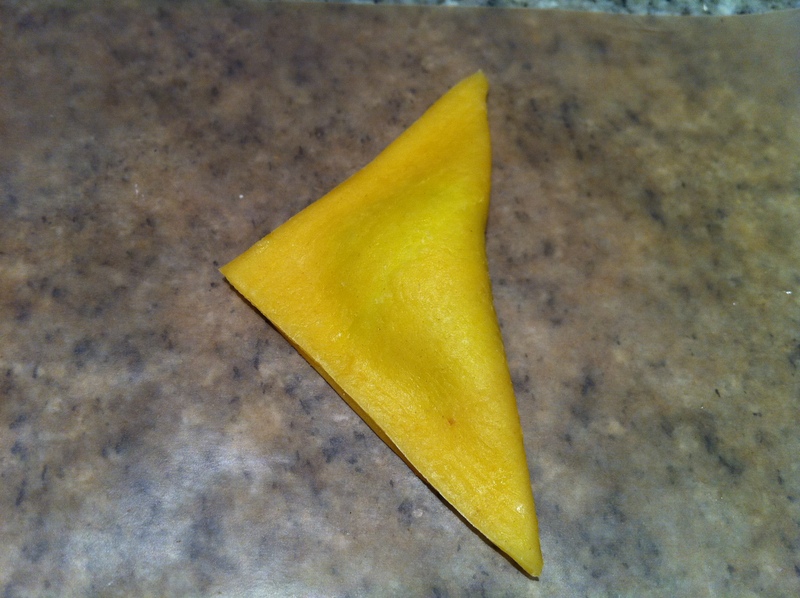 Fold the dough over to make a triangle shape. Then poke the triangle into a crescent. 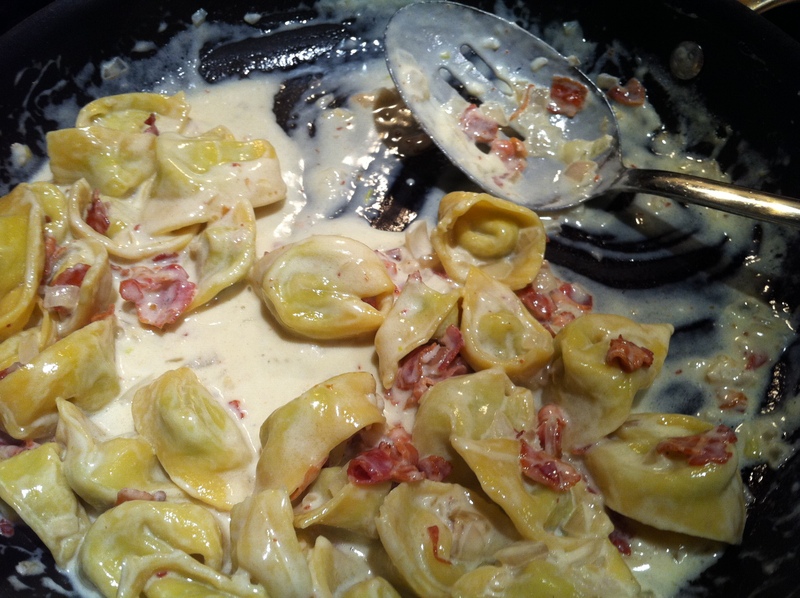 Finally, use a bit of water to press the two little legs of the tortellini together, and voila! I probably spent a good 3 hours making these… very tedious, but SO worth it. 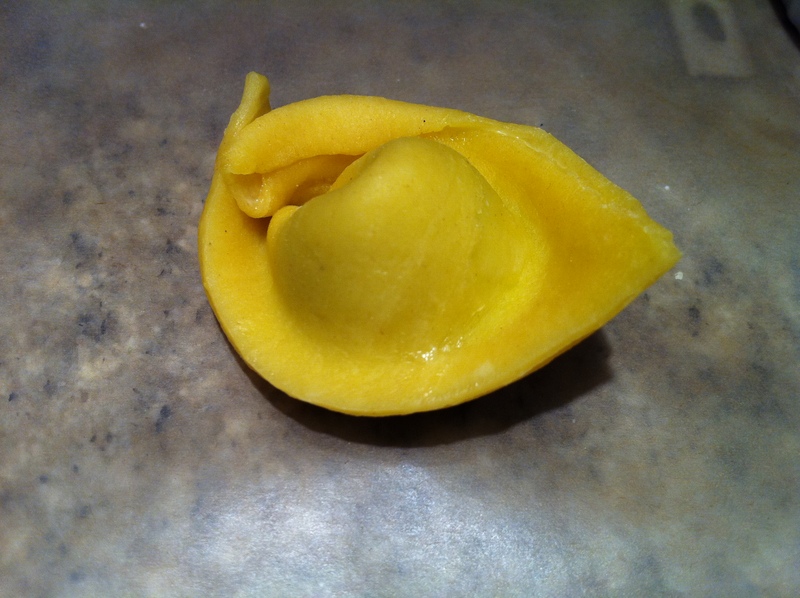 Set all of your finished tortellini aside, on FLOURED parchment paper. 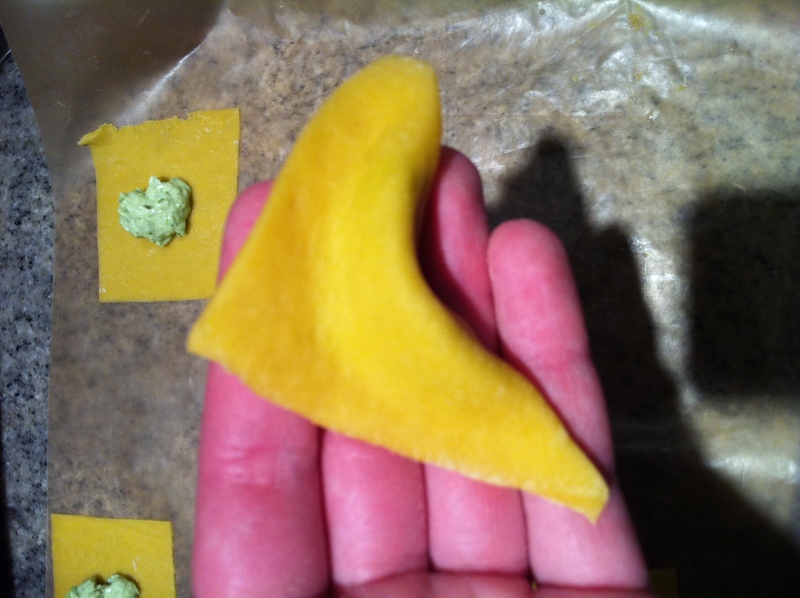 If you don’t dust the parchment paper with flour, your tortellini will stick. This will result in a horribly tragic and tear-filled situation where your tortellini tear and spill their contents everywhere. Hard work ruined. Put a large pot of salted and oiled water on the stove over high heat, so you are ready to cook the tortellini as soon as the sauce is done. Cook the pancetta over medium-high heat until it is crisp. Remove it from the pan and set it on a paper towel to drain. Cook the shallots and garlic in the pan over medium heat with the fat from the pancetta (woohoo) until they are tender and translucent. Turn the heat down to medium-low, and add the cream. Cook for a few minutes, then add the parmesan. When everything is all combined, add the wine and put the pancetta back in. Remove from heat. At this point, your water should be boiling for the pasta. It will cook in about 3-4 minutes. Drain the pasta and put it in the pan with the sauce. Toss, season with salt and pepper, and serve! With extra grated parmesan, obviously. This dish is quite a commitment, but well worth everything, I highly recommend it. 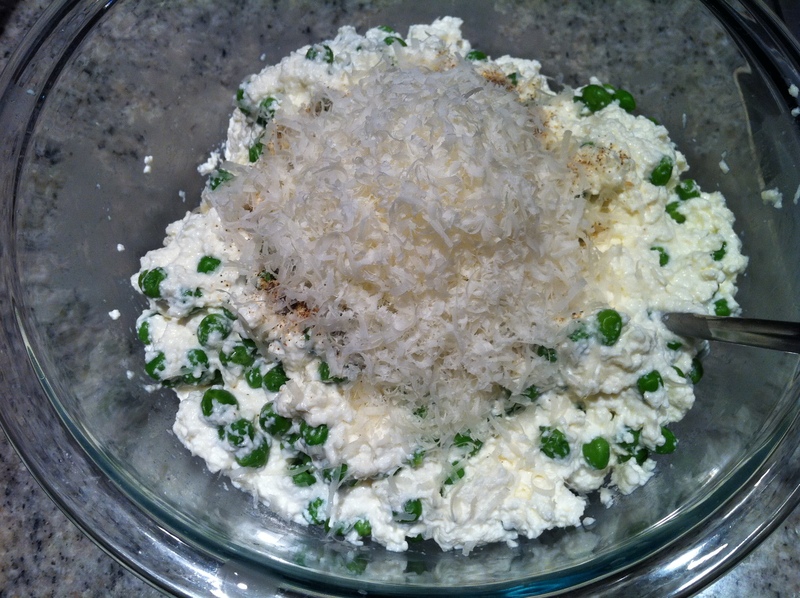 This entry was posted in Eggs, Peas, Pork and tagged cream, dinner, egg yolks, eggs, fresh pasta, garlic, Ina Garten, pancetta, parmesan, pasta, peas, ricotta, shallot, tortellini, white wine. Bookmark the permalink.